Ras y Cob is Back! On Sunday, September 22nd 2013 there will be a series of events held in Porthmadog built around the Ras y Cob Fun Runs. Open to all ages and all ability from first timers to experienced club runners, with prizes for all age categories! Held between the mountain and the sea in the stunning landscape of Snowdonia, you will be transported across the iconic Porthmadog Cob on the Ffestiniog Railway train to the start line at Boston Lodge. With an electronic timing system giving accurate times for all runners and a medal for every finisher in the main races it caters for the casual and competitive runners alike. With a great vantage point for spectators and supporters along the length of the course, and plenty of other activities going on around the town its’ a great day out for all the family! We start the day off with a leisurly walking event - the Walk and Wheel. Open to all ages for 0 to 199!! This is a chance for families, young children, pushchairs, wheelchair users, and anyone else to go over on the train and walk, jog or run back over the one mile course. If raising money for charity, having a day out or just fancy a train ride and stretching your legs, this is the event for you! Get back into town in time to watch the main races, see the other events going on and soak up the atmosphere. There are no medals or timings available for this event, but it is free of charge and there will be a chance for you to donate what you can towards next year’s event. For runners aged 11 and under on the day of the race only. The train will take them over to the Start Line at Boston Lodge where they will then race back across the Cob towards the Town and the finish line. Individual timings, bottled water and medals available for all finishers. For those not ready to tackle the 3 mile course, or who want to concentrate on setting the fastest time for the mile this event follows the same format as the junior race and is open to all ages 12 yrs + . The Main event. The train will take you over to the Start line at Boston Lodge. 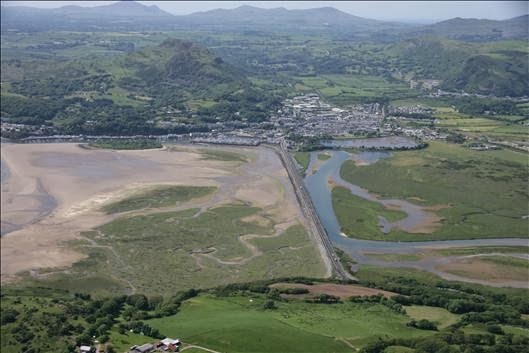 You will run on the main road across the Cob towards town, before turning back along the footpath for the second mile, then racing back along the main road once again to the Finish line and waiting crowd by the Ffestiniog Railway Station. Electronic timings, bottled water and medals available for all finishers and prizes in all the different categories. What’s happening on the day? Registration to enter the races at Y Ganolfan. £3.50 for the 1 mile races and £5.00 for affiliated Welsh Athletic Association members or £7.00pm for non members for the 3 Mile Race. If you don’t resister you will not be eligible for a medal or prizes. No entry fee for the walk. 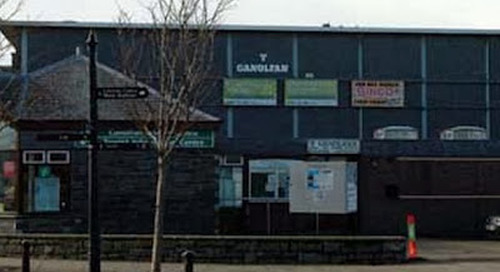 Bouncy Castle, Disco, Cafe and Stalls in and around Y Ganolfan. You can get on the Ffestiniog Railway train at the Porthmadog station to be taken to Boston Lodge and the start of the Walk & Wheel event and the Under 11’s Junior 1 Mile Race. There will be a first come first serve policy so be prepared to walk to Boston Lodge if there is not enough room on the train. The Walk & Wheel event is for all ages and encourages parents to walk with push chairs, children with their scooters or roller blades and all wheel chair users are more than welcome. The road is closed to traffic so there is plenty of room for all to walk at your own pace. Sorry, push bikes are not allowed. Warm up for the Walking event at Boston Lodge with local Fitness Instructor Clare Harris, easy & fun exercises to get you ready for the walk…lots of fun guaranteed. Start the Walk from Boston Lodge to the tax office in Porthmadog a total distance of 1 mile. Warm up for the Under 11’s Junior 1 Mile Race at Boston Lodge with local Fitness Instructor Clare Harris, easy & fun exercises to get you ready for the run. Warm up for the Open 1 Mile Race at Boston Lodge with local Fitness Instructor Clare Harris, easy & fun exercises to get you ready for the run.